The GTA-1260 Classic Tube AMP with Reverb is one of the finest guitar amplifiers on the market today. 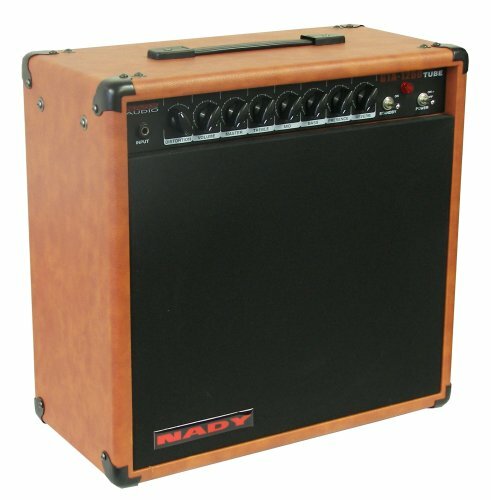 Features include two 6L6GC power and three 12AX7A preamp tubes, 60 Watts of RMS output, 12" Nady PowerDrive speaker by Celestion, Full complement of controls for total volume, tone shaping and tonal definition, including 3-way overdrive gain switch, volume, master, treble, mid, bass, and presence controls. Spring reverb with adjustable control and switchable with optional FS-1 footswitch, Classic retro look with attractive wood grain cabinet finish, and classic tube type tone controls.